Sport / (12 wpi) Superwash merino wool, plied 335 yards (305 meters)US 4 - 6 or 3.5 - 4mm Machine washable, gentle cicle, cold water, dry flat According to EU-Textilkennzeichungsverordnung: 100 % Wool. Spun from the finest merino wool, this yarn comes from sheep bred for generations by ranchers in the northern part of Uruguay, where the ideal climate for this breed is found. 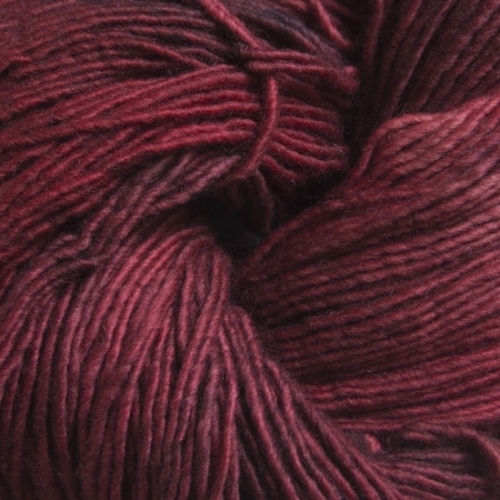 When you experience Malabrigo Lace Baby Merino, you connect with a special place of the world. 470 yards (430 meters) 32.0 sts = 4 inches in needles US 2 - 2.75 mm. According to EU-Textilkennzeichungsverordnung: 100 % Wool. The newest member of the Malabrigo family is a bulky, single-ply superwash merino, available in many of your favorite colors (and a few brand new ones!) The superwash wool takes color beautifully, and it's as soft as ever. Mecha means single ply in Uruguayan Spanish. Pure Merino Superwash Wool.